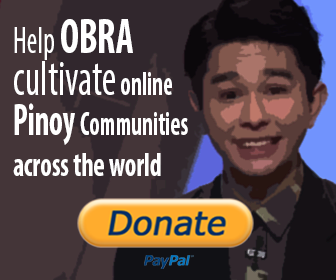 OBRA Incorporated with its online and offline communities would be glad to hear something from you! Contact us if you have music, dance, theater, and art related activities for Filipinos and projects that may support and reunite Filipinos that are not based in the Philippines. If you have specific inquiries on the Filipino online portals, feel free to drop us an email!